Anticipation. Opportunity. Change. These are three words we associate with spring. These are also words that have been captured and reiterated in the workshops, panels and assessments the GMCVB has been conducting as part of our Destination Visioning initiative. The references to these words throughout our Visioning process are igniting an inspirational conversation about what Greater Madison is on the verge of becoming as a globally admired and desired place to live, work and play. While it’s too early to release the final results of our work, what we can share is a brief progress report on the work to date (click here). What is difficult to capture in this report is the passion and deep level of engagement dozens of our civic leaders have expressed in committing to continue to ensure this destination’s evolution into a place visitors will want to experience for generations to come. 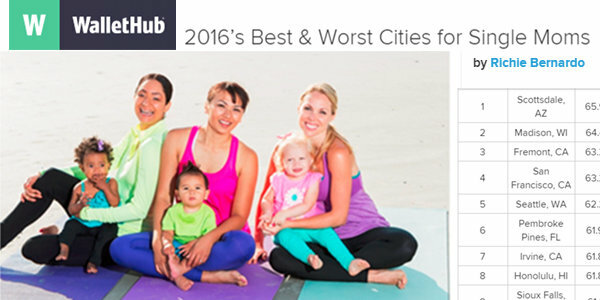 A destination that’s equal to no other and an equally ideal place to call home—for everyone. Our organization’s mission is to ensure the destination stays competitive and continues growing our visitor base, and we are about to see big changes as we as we add to our team: Murray Ryan, VP of Sales & Services and Sarah Lemmers, Sales Manager. We are also pleased to share that we have several new leaders who will serve on our Board: Tom Dott of Associated Bank, Alison Prange with the Friends of the Henry Vilas Zoo, Skip Harless of the Hilton Madison Monona Terrace and Charlie Hoslet, UW-Madison’s Vice Chancellor for Community Relations. All of these individuals will help propel us to pursue new opportunities as we strive to evolve as Greater Madison’s Destination Management Organization. Three words we are experiencing and embracing. We hope you share in our enthusiastic anticipation for the opportunities and changes ahead. 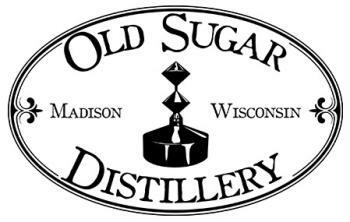 Old Sugar Distillery was founded in 2010 by UW-Madison grad Nathan Greenawalt. As the story goes, it started “on a shoestring budget and a leap of faith.” But in six short years, Old Sugar Distillery has become renowned as the place to enjoy hand-made, high-quality spirits in the heart of downtown Madison. Originally, Greenawalt planned to produce spirits for wholesalers only. But soon after his business started, Wisconsin laws changed, allowing distillers to offer tasting rooms. Knowing Madison’s penchant for craft products, Nathan took another leap of faith and invested in the facility and tasting room where Old Sugar Distillery is now located, just blocks from Madison’s Capitol Square. “I just kept thinking, if you build it, they will come,” says Greenawalt. And though there were some scary moments in the beginning, that mantra proved true for Old Sugar Distillery’s tasting room offerings. This popular experience is available to the public Thursdays through Saturdays. Nathan and his team also offered tours, which they discovered are made more delicious with a drink in hand, so each includes a beverage and a chance to linger even longer in the tasting room as desired. "Partnering with the Greater Madison Convention & Visitors Bureau has been very beneficial to our business,” says Greenawalt. “It has helped us access some of the millions of visitors our city attracts each year, resulting in greater sales of our craft cocktails, and filling our Saturday afternoon tours." Old Sugar Distillery is located at 931 E. Main Street and is open Thursdays and Fridays from 4:00 to 10:00 p.m. and Saturdays from Noon to 10:00 p.m. Starting in May,they will remain open until 11:00 p.m. on all three nights. If you’d like to see your business highlighted as a Featured Partner in future issues of Business Builder Monthly, fill out our online form. 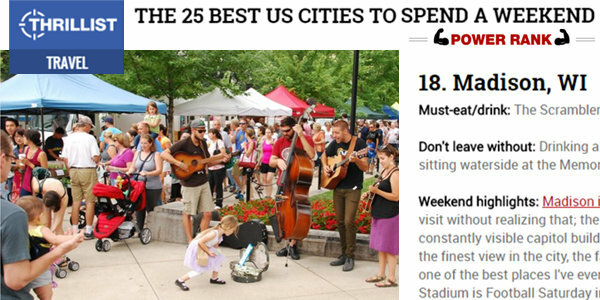 Experience Madison in a whole new way with Capital City Food Tours! Come eat your way through the city as we explore the history, architecture and wonderful restaurants around Madison’s Capitol Square. GMCVB partners will receive 15% off tickets when entering the discount code “GMCVB15” on the checkout page. Private group tours are available, too! Hilton Madison Monona Terrace is pleased to offer a special rate for Mother’s Day weekend. Click here to secure bookings for $65 per night for standard rooms available May 5-8, 2016. Take time to indulge—and save money at the same time! Indulge Spa is sharing a 15% discount on any 60- or 90- minute service booked Monday-Thursday. 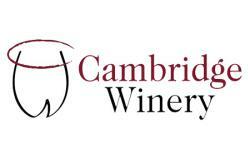 Cambridge Winery produces high quality, boutique wines and offers unique hospitality facilities to make your event special and memorable. Cambridge Winery has two locations to serve you: our Cambridge Event Center and Tasting Room, and our Madison Tasting Room. Welcome to Madison&apos;s newest hotel! 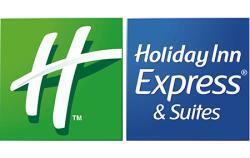 The Holiday Inn Express & Suites Madison is located on the east side, close to East Towne Mall, area restaurants and Sun Prairie. The hotel offers a free HOT Breakfast buffet, indoor pool, state of the art Fitness Center, free WIFI & free underground parking. And, a heartfelt thank you goes to Jeanette Riechers, Owner, Cornblooms & Madison Sole for her many insights and visible impact during her role as GMCVB Board Chair. Jeanette will continue as Immediate Past Chair while we welcome Lynn Hobbie, Senior Vice President at Madison Gas & Electric into her role as incoming GMCVB Board Chair. Marcus Palace Cinema, a state-of-the-art cinema has made its mark in Madison with 2 UltraScreen DLX auditoriums, a Take Five Cocktail lounge and a Zaffiro’s Express pizza café. Red Elephant Chocolate Café has also enjoyed sweet success in its first year on State Street, providing handcrafted chocolates and signature desserts along with imported wine and Wisconsin cheeses.